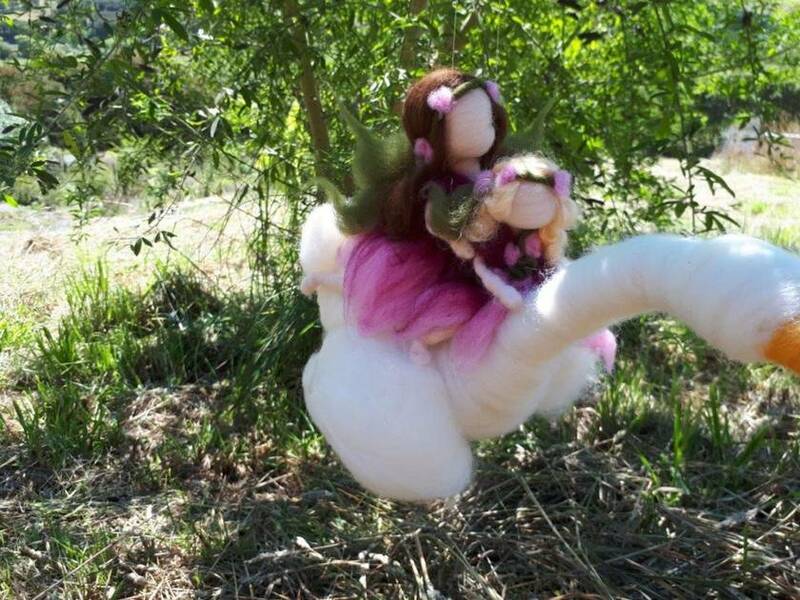 This darling wee Fairies are so sweet together! 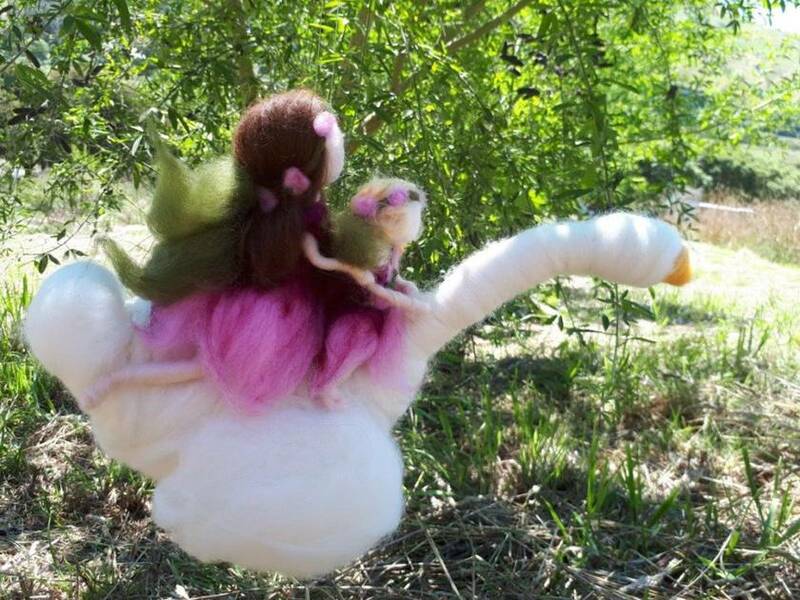 They are off on their big adventure Riding their little Goose!!! They are dressed very sweetly in pink and raspberry and are cuddled together, mother and daughter, two sisters, or two friends flying off together!!! This wee piece can be custom made for you iincluding his hair colour..so you can choose the colours you love the most! 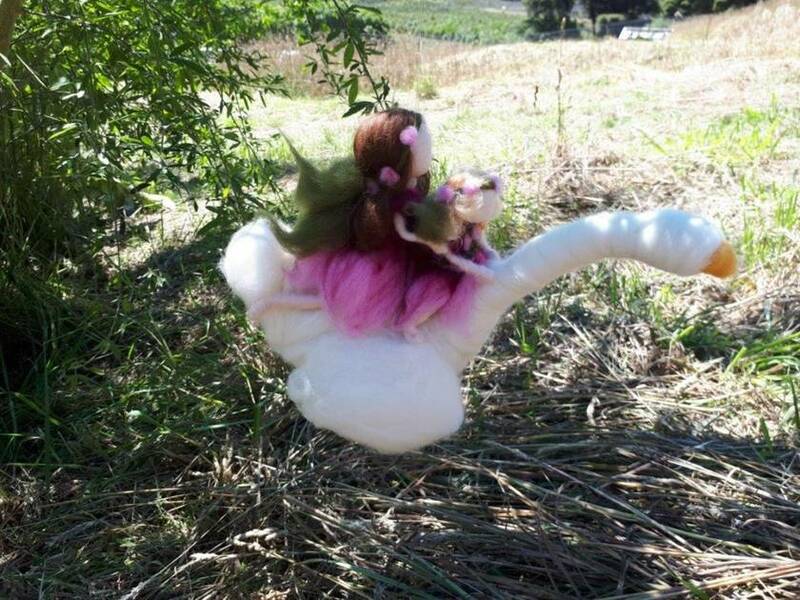 They are carefully and lovingly handcrafted with wool using a technique called needlefelting. They are a reminder of magic in our world and show great spirit! They is about 30cm high and is custom made for each order, so they are never exactly the same...but always very close to this picture! 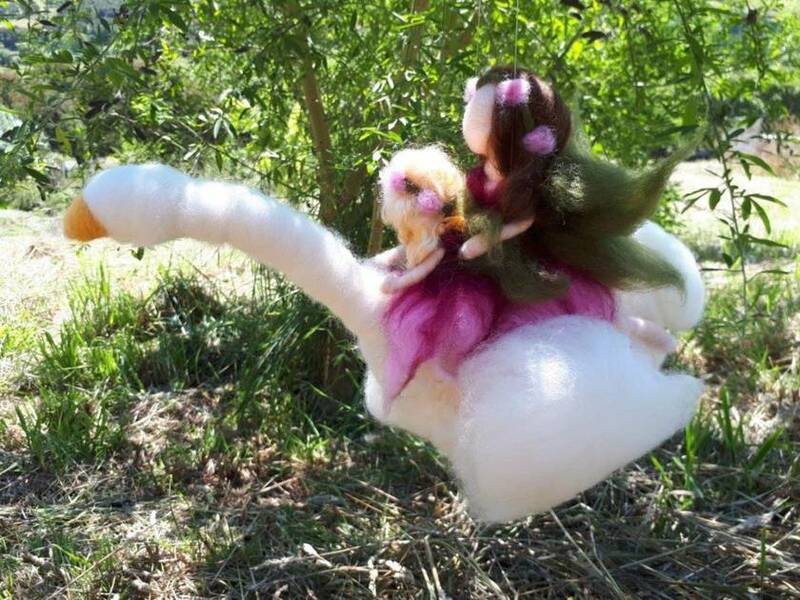 There is also an option to just have one Fairy riding a goose for $70. Just let me know!